YouTube has become an integral part of the video marketing revolution. Tens of thousands of people – be they entertainers, public speakers, internet marketing specialists, etc. - have used it to grow their brand to gain business and personal notoriety. However, as great as YouTube has been for the information economy, there is the prickly issue of copyrighted material that must be addressed. We know that striking a balance between a creator's/artist's right to earn income from their work and the free dissemination of work is difficult. Still, it's important for online entrepreneurs to be aware of the basics in order to maintain their privileges. This issue cuts two ways: As a producer of content, you want to ensure that others are not misrepresenting your work or profiting unduly from it. On the other hand, you should also be careful not to infringe on the rights of other entrepreneurs. On YouTube, a copyright strike is the formal removal of your video, because a copyright owner made a legal request to have it removed. In all likely-hood, you did not secure permission from the owner to post certain video segments, or you are not acknowledging or crediting them adequately. This is different from having a video rejected for inappropriate or offensive content. To review an offending video and read details of a copyright strike, go into your Video Manager and access the copyrights section. One copyright strike puts your YouTube account in bad standing and denies you certain features and privileges. If you are unfortunate enough to accumulate three strikes, your account will be terminated. Your entire YouTube video library will be deleted, and you will not be permitted to open a new account. Deleting the offending videos after the fact will not change your status, so it pays to be proactive to resolve any disputes before things get out of hand. Wait for the Strike Period to Expire: Copyright strikes end after six (6) months, provided you successfully attend YouTube's Copyright School and do not re-offend during the six month time period. In Copyright School, you will be asked to watch a video and answer relevant questions about copyright infringement. Obtain a Retraction From the Original Claimant: If you feel that the strike is unjustified, to begin with, consider contacting the person directly and explain your circumstances. Depending on the specific case, they may be inclined to withdraw the claim completely or work out an arrangement with you that permits you to keep the video. Submit a Counter Notification to Youtube: If the copyright strike is without merit, and you are unable to get a retraction (see above), you can send YouTube a counter notification. 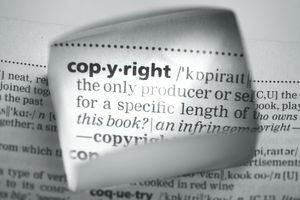 You should check to see if the claim of infringement on your video can be countered by a potential fair use (note: Fair use legislation exists in the United States and several other countries.). This video may contain copyrighted material, the use of which has not been specifically authorized by the copyright owner. Such material is available for research, educational purposes, to advance understanding of scientific, human rights, moral, ethical, or social justice issues, etc. This constitutes a fair use of any such copyrighted material as provided for in Title 17 U.S.C. Section 107 of the U.S. Copyright Law. This material is distributed without profit. YouTube remains a powerful video marketing media because it acts in the best interest of all its members and users. To continue profiting from its unparalleled popularity, it behooves you to be aware of copyright issues and avoid strikes that may temporarily curtail your business growth.